I was beyond excited when Sarah, owner of Sarah Gormley Photography, asked me to second shoot with her again. 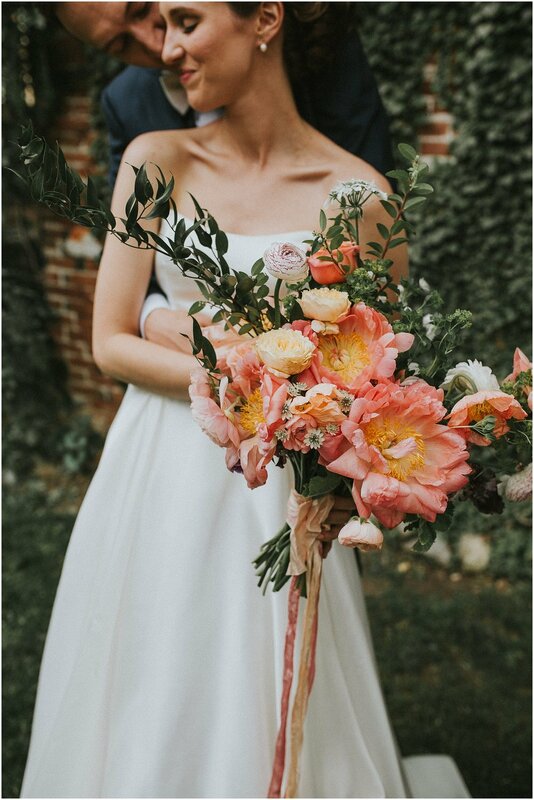 She is fantastic to work with and her clients also have this great sense of style so I knew any wedding with her would be AH-MAZING. 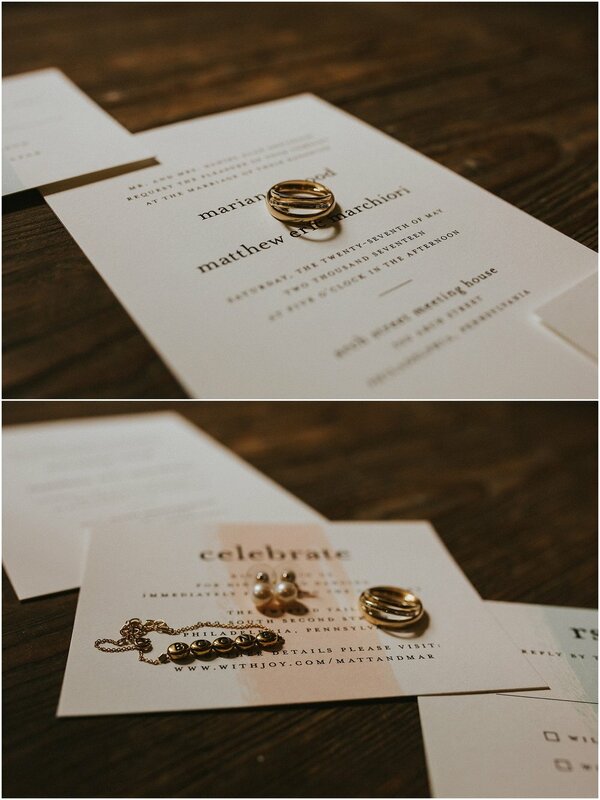 And Matt and Marianne's wedding was nothing less than that! 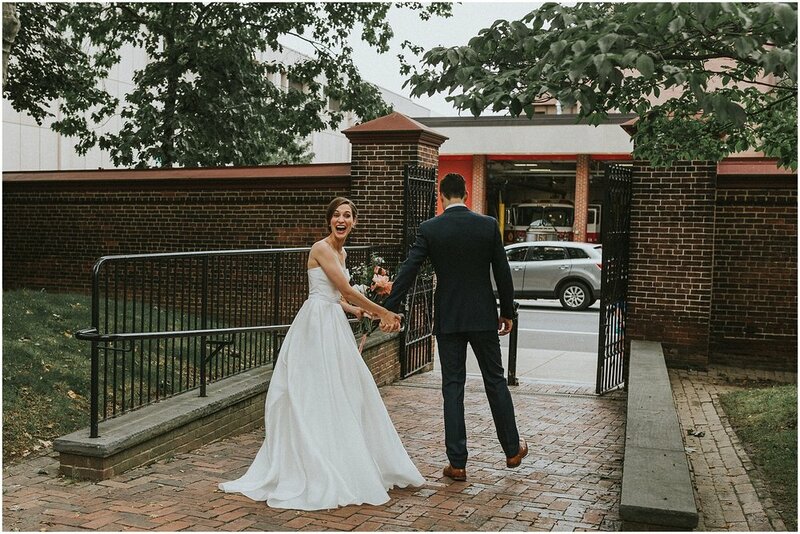 Matt and Marianne chose to do a first look which was so great because we got to enjoy walking around for their portraits without any need to rush. 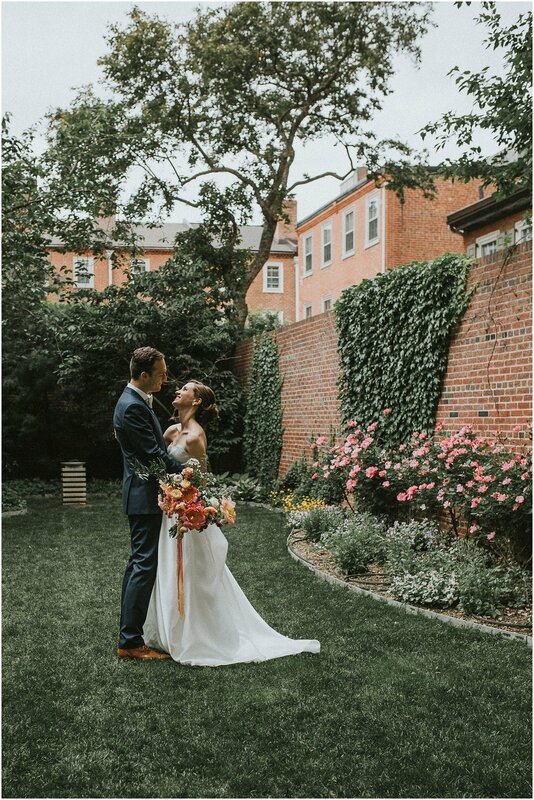 We found some of the cutest nooks and crannies along the way from ivy covered walls, to rows of homes, and brick corners. I seriously LOVE the streets of Philadelphia. 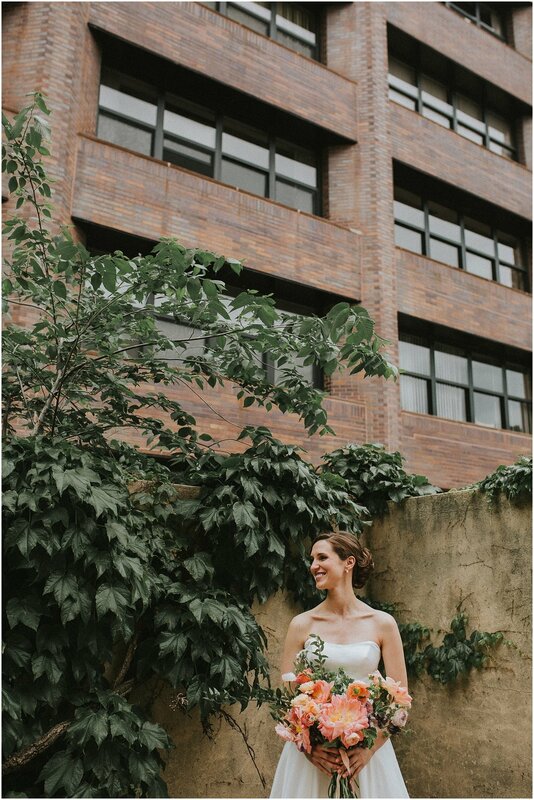 There is so much texture and variety even within just one block and the backdrops are endless. If anyone wants to spend like three hours doing nothing but walking as I snap photos, hit me up. 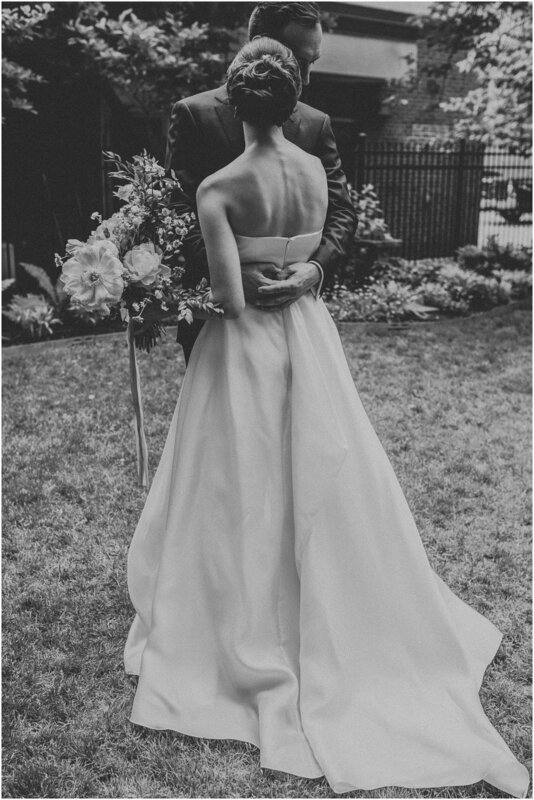 Their ceremony took place at the Arch Street Meeting House located in downtown Philadelphia, Pennsylvania. The Arch Street Meeting House is full with original character and its benches, and even cushions!, are over 300 years old. 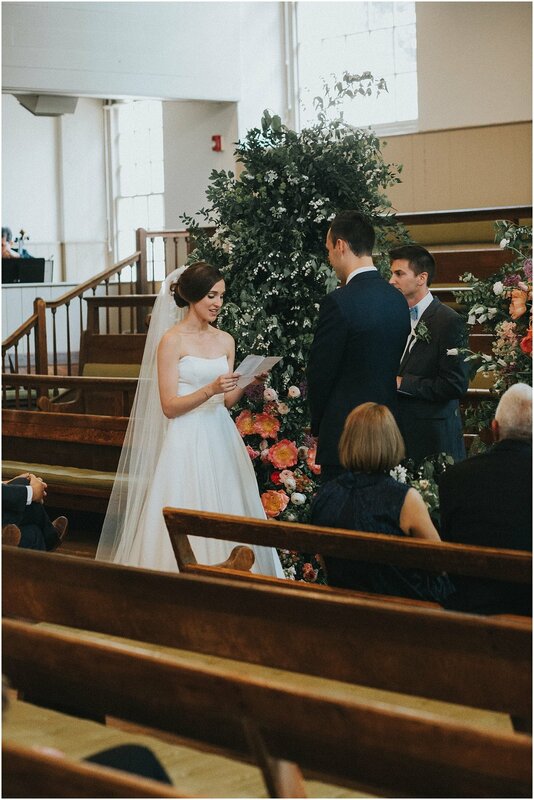 The meeting house was simply adorned with a single flower installation that Matt and Marianne stood in front of as they pledged themselves as husband and wife. 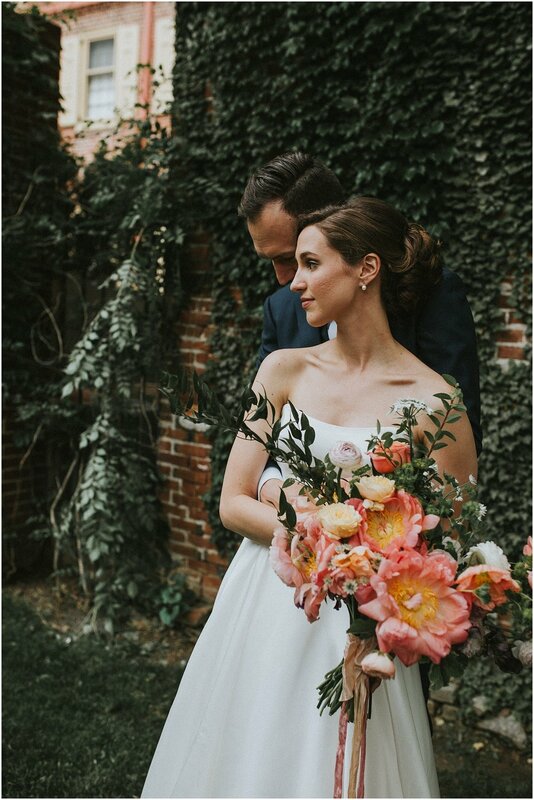 By the time the ceremony took place the light was casted beautifully through the windows and gave a glow to the inside of the building. Matt and Marianne wrote their own vows and it was touching to see how emotional both of them were as their four year relationship accumulated to that very moment. After the ceremony the wedding guests headed over to The Twisted Tail, a fun and bouncing restaurant located not too far from Penn's Landing. The second floor of the building was closed off and saved for the the guests. We walked into a casual and laid back atmosphere where people mingled, ate, and sat, as they pleased. 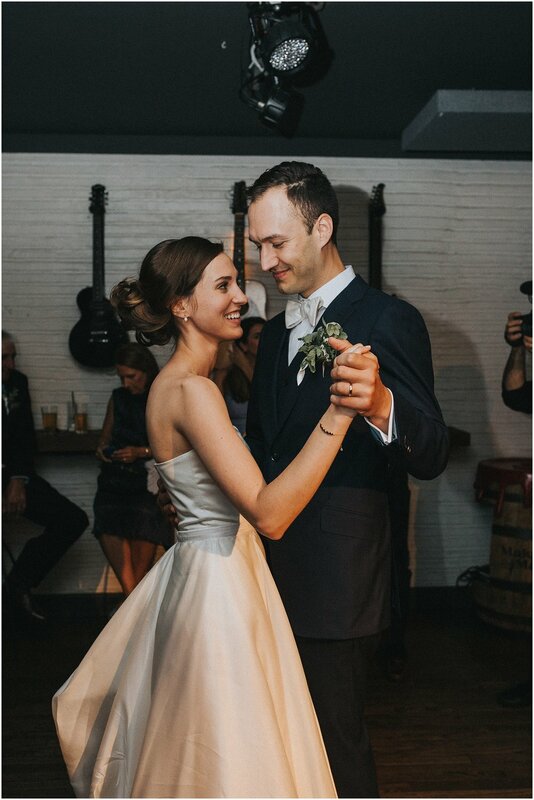 Once the music hit though the dance floor was jam packed by Matt and Marianne's friends and family as they danced the night away! Sarah, thank you so much again for letting me shoot alongside of you. Other blog posts you might be interested in!